*The low profile airport barricade light is designed to screw directly into our AR10x96 Airport barricade. 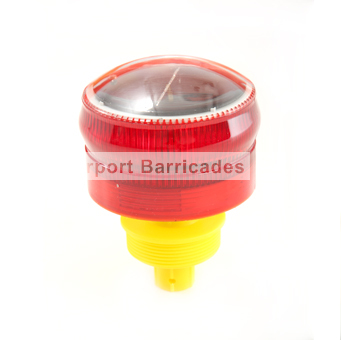 *The solar barricade light also mounts easily to the AR24x96 Mid profile airport barricade. 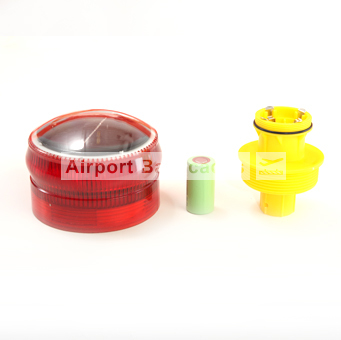 Solar Powered Airport Barricade lights, or oftentimes referred as hazard lights are a general requirement for airfield projects. Most airport projects that run into night operations will require a barricade light. 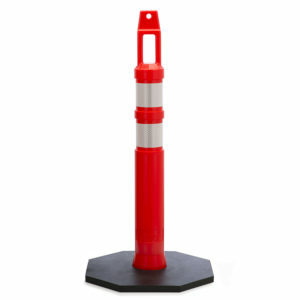 Barricade lights offer a great way to draw awareness to the construction zone especially in low-light areas. 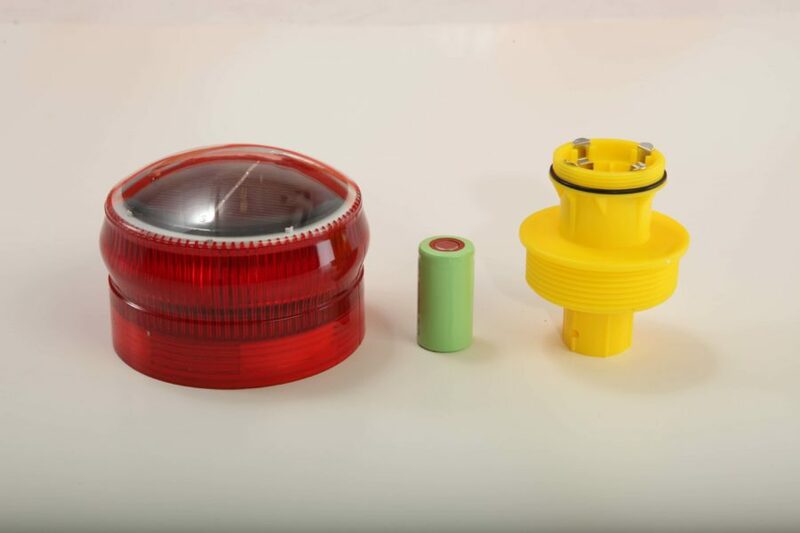 Our solar powered airport barricade light was engineered with a slightly angled lens which directs the light up toward the sky. 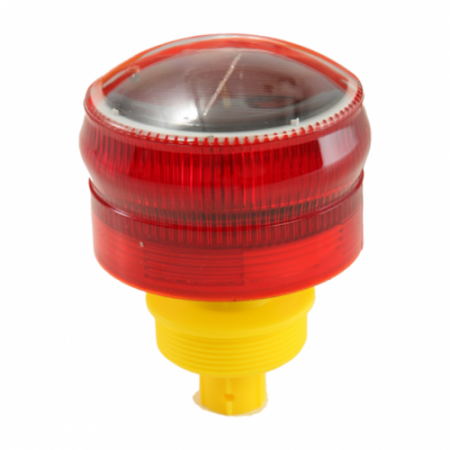 The solar airport barricade light draws attention from both ground crews and pilots in elevated positions. Because the light is powered by solar, it is a more cost effective option compared to standard battery powered lights. The solar powered barricade light is also a more environmentally conscious option for airports and other construction projects. It is highly recommended to remove the battery, and store it separate from the light when not in use in order to pro-long the life of the battery. The charged light automatically turns on when ambient light falls below 60 lux, which typically occurs during evening civil twilight or inclement weather. The flashing variant (ARL-FL) maintains a 55 blink per minute rate when activated. 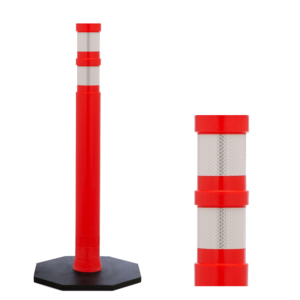 If you are interested in renting low profile airport barricade lights, or any of our other traffic control products, we offer nationwide shipments using custom designed steel cages. The cages allow the end user to place the airport barricade products inside once the project has been completed. The shipping cages remove the need for contractors to palletize, band, or shrink wrap our barricades for the trip home. We let contractors do what they do best. Leave the logistical hassles for us. 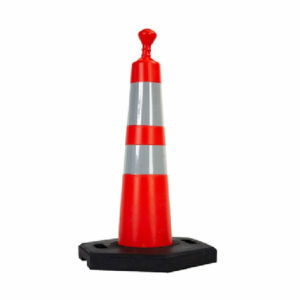 For rental and purchase pricing on low profile airport barricades and related products, be sure to contact the bid room! Our quotes typically have a same-day turn around.